Have you heard all of the buzz about fish tacos? Well, I got hungry for some and finally came up with a great recipe that is healthy and tastes great also. One of the great things about fish tacos is that only one fillet of fish can make up to 2 tacos. I was full, not necessarily an easy thing to do, after eating my taco. I made enough so that I could have another one for lunch the next day. Great thing about it is putting it together for lunch the next day takes only a matter of minutes. Just takes a couple of minutes to put together and 1 minute to heat up in the microwave. It will not smell up the office kitchen either. So you have a fast healthy lunch ready in minutes. If you have kids and have been trying to get them to east more veggies in their diet, this is a great way to add them while being a fun food to eat. I like to use broccoli slaw, tomatoes and even some fruit salsa such as mango salsa on my fish tacos. You get all kinds of wonderful benefits from the veggies and fruits. Yum. 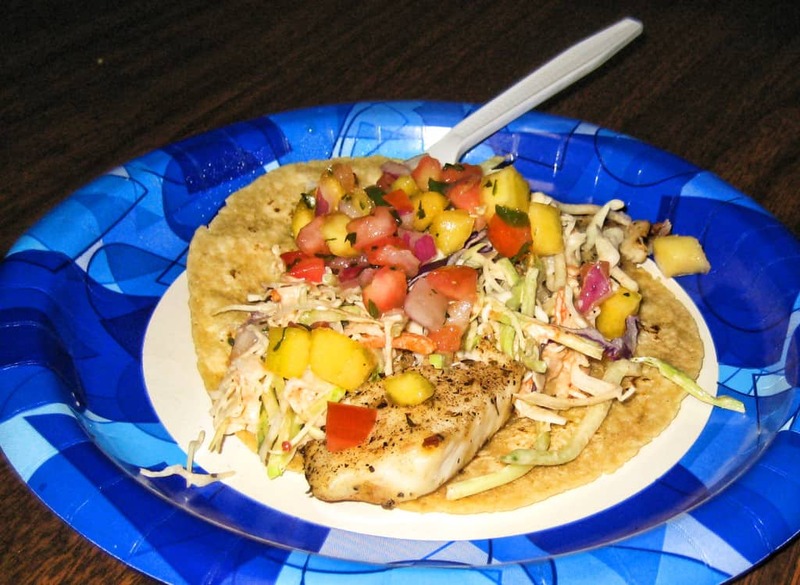 I may be getting hungry for more fish tacos just writing about them.